WIKA now also offers users of their pressure calibration instruments suitable pressure supply accessories, in the form of ready-to-connect packaged solutions. Four of these supply packages provide test pressures up to a maximum of 10, 40, 300 or 400 bar. 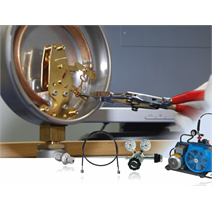 Alongside the compressors, they include all the necessary connection elements and components, such as pressure reducers or storage cylinders. As well as a package with a vacuum pump for vacuum applications, in a laboratory or industrial version, the new offering also includes a pressure supply case for local check operations. All units can be supplemented by individual components for customer-specific test requirements and for replacement of worn elements. Adapters are also available to enable the connection of instruments from other manufacturers. 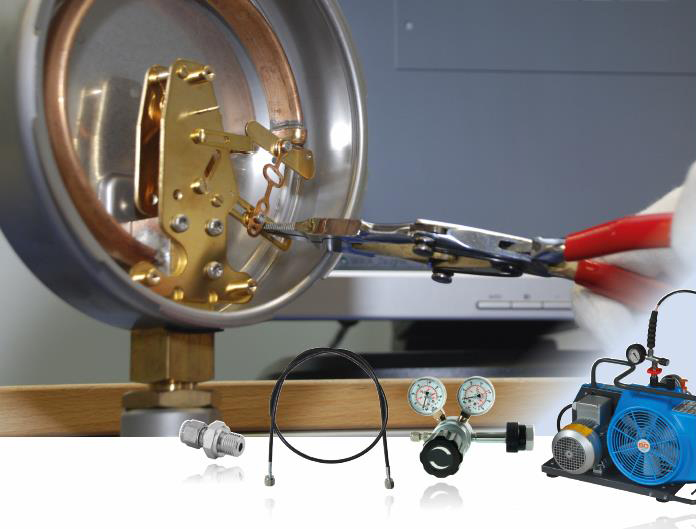 In addition to the new pressure supply packages, WIKA also offers other accessories for instrument adaptation and pressure control as well as a diverse range of connecting hoses and tools for adjustment and calibration. All these components can be found in the new brochure “Accessories for calibration technology”.